It’s in the very nature of social media to tread the line between being different and exactly the same as everyone else, and with its new live video and messaging features Instagram continues this trend. Rather than go the way of Facebook Live and Messenger, Instagram’s live video and private messages will incorporate the popular ephemerality of Snapchat and Periscope. When using Instagram Live, users will be able to broadcast live streams to their followers, but followers will only be able to watch while the stream is happening in real-time – this means no replays and nothing saved on your profile afterwards. When users begin live streaming, their followers will receive a notification that it’s happening and will then be able to watch and post comments on the stream in real-time. Comments can be turned off and there will be options to block and report any harassers. To make sure users don’t miss the best and most popular live streams from people they’re not following, Instagram will display them as they’re happening in an Explore page which is curated according to viewing figures, geography, and language. This is reminiscent of Periscope’s enforced 24 hour expiration on its livestreams, which was eventually scaled back to allow for permanent replays. 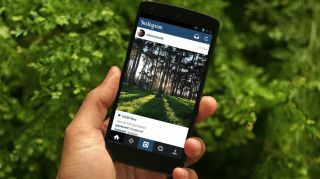 This now makes Instagram the only service which offers truly temporary live video broadcasts which could make people feel more comfortable using it more frequently. If you’re less inclined to broadcast to all of your followers, Instagram is also giving you the option to privately share images or videos that you’ve added doodles and text to, though they’ll only be viewable twice before they disappear forever. These new temporary messages don’t mean the end of Instagram’s permanent direct messages. Now, you’ll simply have two direct message inboxes; one for temporary messages and one for permanent ones.